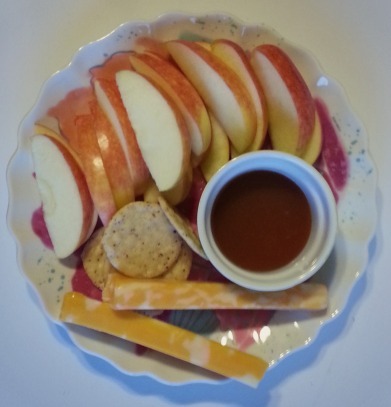 As part of the Influenster program, I received some coupons to purchase Sargento Natural Cheese Snacks, try them out, and tell you all about them. Pretty cool, huh? Said coupons arrived around September 4th. Do you know how many times I’ve been to the grocery store since then? A crap ton of times. Probably at least 20 times, if you count Target. And do you know how many times I bought Sargento cheese products on those trips? At least 3 times. But do you know how many times I remembered to use my coupons from the friendly Influenster people? You see, I have this problem. I get coupons sometimes. Sometimes I even take the time to cut them out of the paper or our weekly neighborhood flyers. But then I never use them. Like EVER. Coupons are a great way to save a few dollars, but I’m just no good at it. Yesterday though, I had a coupon stockpile. 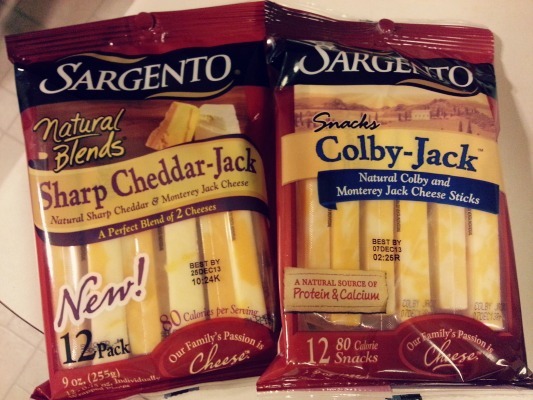 My Sargento coupons from Influenster. Chobani coupons to replace my recalled products. And a few Blue Diamond coupons too. So off I went to shop for cheese, yogurt, almond milk, and nuts. And then I was that girl with a pile of coupons at the register, holding up the people behind me. But it was all good because I came home with some delicious, nutritious cheese snacks! Each stick has around 80 calories, packs 5g of protein and contains a healthy dose of calcium. And I don’t know about you, but cheese is juuuuust about my favorite way to get my calcium. These guys are great on their own, or as a part of a healthy snack plate. Or in this case, dinner. On the couch. In my pajamas. Fielder likes them too, as showcased here by this little begging act. And my boy has great taste so you can trust his opinion, I swear. Sargento is based in Plymouth, WI because we obviously know our cheese here in the dairyland, so that makes them even better in my opinion. 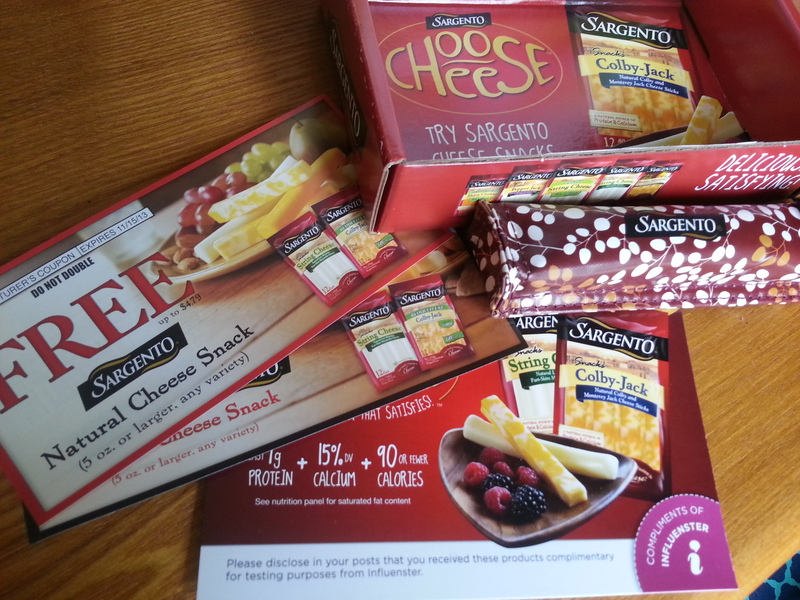 Even though I received these products complimentary from Influenster, I’ve purchased Sargento products multiple times in the past, and will continue to do so in the future. 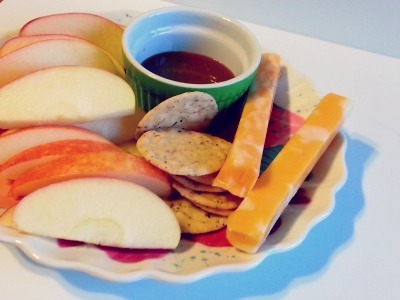 Click here to find your own Sargento Cheese Snacks! You won’t be disappointed. Oh, did I mention that adorable little cheese stick cooler they sent me too? Yeah, scroll back up to the first picture and check out that little bugger on the right. Sooooo cute! Do you use coupons? I’m really trying to be better about it. I’ve been consistently using my debit card at Target and the grocery store, which means I get coupons for “products I might like”. As creepy as it is that they track what I’m buying, it’s working. I’ve tried a few new products that I’ve loved and I’ve saved a few dollars on stuff that I would be buying anyway. It’s a win win! 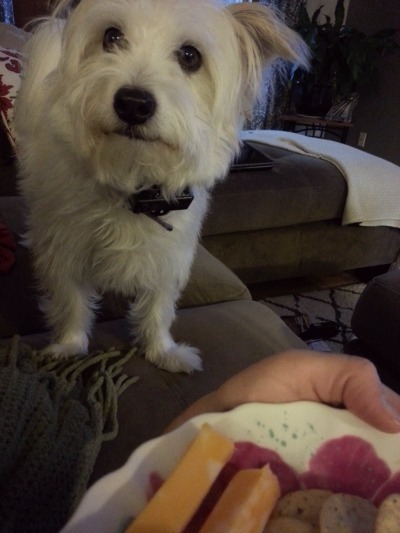 first of all, i need that cheese plate with apples and crackers. asap. second of all, i want a cheese stick cooler! that’s the best idea ever. I think I might have a cheese plate for dinner tonight too. And if he’s lucky, I’ll also make one for the hubster. I can’t say that I’ve actually used my cheese stick cooler but I adore the concept. OMG – fun! I am a major Sargento fan! I live on string cheese!! Plus, we actually get that brand here… When I lived in the US, I used coupons all the time…but I’m a super grocery shopping dork like that!!! By the way…what’s influenster?